Effective September 1, the Old Tunnel Wildlife Management Area, home of the bats, off Hwy 290 on Old San Antonio Rd., will become the Old Tunnel State Park. The operations of Old Tunnel will not change, continuing to be open May through October for bat emergence viewing. Daily viewing from the upper level is free to the public. The $5 per person lower-level viewing area is open Thursday through Sunday. And, the site’s trail remains open for hiking 365-days a year from sunrise to around 5:00 p.m. For more about Old Tunnel, visit www.tpwd.state.tx.us/huntwild/hunt/wma/find_a_wma/list/?id=17. 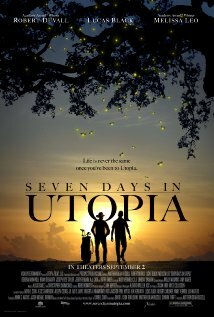 Filmed in part in Fredericksburg, the Robert Duval/Lucas Black movie, Seven Days in Utopia, will hit theaters nationwide on Friday, September 2 and tickets are now available for purchase at the Stagecoach Theater in Fredericksburg. The Lyndon B. Johnson State and National Historical Parks will hold a birthday celebration on Saturday, August 27 in honor of what would have been LBJ’s 103rd birthday. Festivities at the Hwy 290 E. locations near Stonewall include a wreath-laying ceremony at 10.00 a.m. at the Family Cemetery at the Lyndon B. Johnson Nationalhttp://www.blogger.com/img/blank.gif Historical Park, followed by an old-fashioned party with games and refreshments at the Sauer-Beckmann Living History Farm at Lyndon B. Johnson State Park and Historic Site. In honor of the significant date, the $2 interpreter’s fee to tour the Texas White House, Johnson’s family home on the Lyndon B. Johnson National Historical Park, will be waived that day. For more information, call 830-868-7128, ext. 231 or visit www.nps.gov/lyjo. The Antique Tractor & Engine Club at Gillespie County Fairgrounds on Highway 16 South show is a three day event with static displays of antique tractor and farm engines. Plans include tractor pulls and games, hay baling, blacksmith and sawmill demonstrations, special events for the kiddos and much more! Admission is included in the Gillespie County Fair admission. Think you've got musical talent or simply enjoy watching local talent competitions? The Texaco Country Showdown is a country music talent search and the local competition will be held this Thursday, August 20 at 7:00 p.m. at the Gillespie County Fairgrounds on Hwy 16 S. For information, call 830- 997-2197. Billed as the oldest county fair in Texas, the Gillespie County Fair features agricultural and livestock exhibits that showcase the Hill Country's best! Wright's Amusements & Midway bring a variety of rides and games for the 4 days of the fair. Pari-mutuel live horse racing and simulcast dog & horse racing, mutton busting, horse shoes & washer pitching, arts & crafts, community exhibits, a talent show & 2 dances featuring local & national performers. The fair is held at the Gillespie County Fairgrounds on Hwy 16 south. For more information call 830-997-2359. The 3rd Annual Harper Bar-B-Que Fundraiser is sanctioned by the Lone Star Bar-B-Que Society and featuring cookoffs in brisket, chicken, pork ribs, jackpot beans and jackpot chili. Games and booths, free live music. Cooking teams check in on Friday. The event opens to the public on Saturday at 10 am, with judging at 4 pm. Proceeds benefit Harper Community Park. Local musician Scooter Pearce was involved in a near fatal car accident and needs assistance for medical expenses. 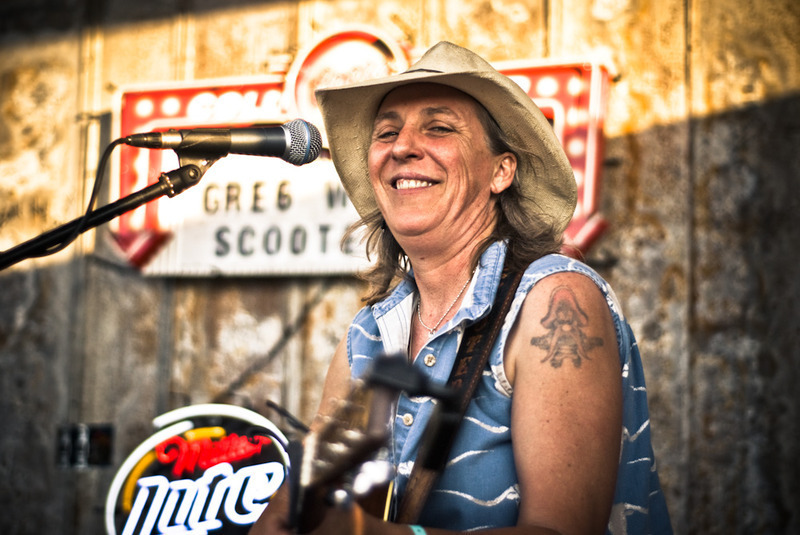 Friends of Scooter Pearce are having a benefit for her at the Becker Vineyards TastingRoom/Verandah on Saturday, August 13 from 7 p.m. until 10 p.m. The admission fee of $20 (includes live music, hors d’oeuvres, and 3 wine samples) goes toward her medical expenses. Musicians Jon Hogan, Maria Moss, and Sol Patch will perform live. Scooter Pearce will also be present signing her musical CDs. There will also be a silent auction. Becker Vineyards is located 11 miles east of Fredericksburg, 3 miles west of Stonewall, off US Hwy 290 at Jenschke Lane. For more information contact: Kay or Nichole at 830-644-2681 x 302. The hills are alive with the sound of "salute!". August brings about the festivities of harvest at our beautiful Texas Hill Country wineries. The annual self-guided trail takes place the second and third weekend of the month. The participating wineries sprinkled throughout the Hill Country debut exciting new wines providing insight into their winemaker's visions. Please visit www.texaswinetrail.com for maps and other information.